Sometimes I am okay, sometimes I am not. A few months into this new life, I honestly thought to myself that there was no way, no how that my husband and I would make it through this, together. Luckily, some wise and extraordinary people I am lucky to call friends talked me into going to bereaved mothers group. It was probably the best decision I’ve made thus far in my grief process. I was able to talk to other mothers that have lost a piece of their heart and that could actually give me good, honest advice. I realized that men and women grief in completely different ways and I couldn’t judge my husband for his way. I’ve since learned that losing my son was the worst possible thing that could ever happen to me, but that losing my husband because of our loss is something I could never face. He is the only person in this whole world that knows exactly how I feel and I will never let Bentley’s story end in his parents demise. Now, months later, we are both in a place where we can talk about the loss of Bentley more openly with each other. I never knew how much I loved your father, until I saw how much he loved you, Bentley. Sometimes, most times actually, it doesn’t feel real. I feel like I am just waiting to wake up from this. It seems impossible to me, that for the rest of my life here on earth, that I will always feel this way. I will always be missing something, someone. I wonder if it always seems unreal, I guess that’s something I will find out in the future. Missing you is unbearable. I am a woman of a few words this evening. Ashley lives in a small town in Northwest Ohio with her husband, Ryan and their two living children Riley- 9 and Hunter- 4. 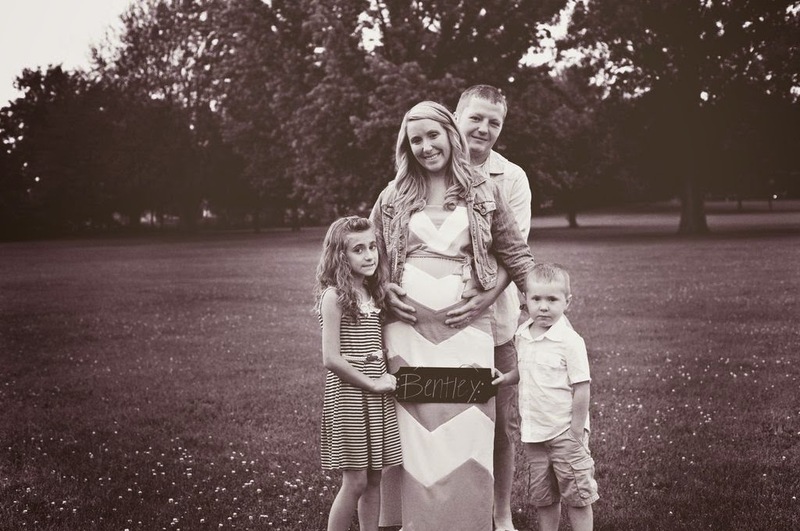 She carried her son, Bentley to term after receiving a fatal diagnosis at 14 weeks. Bentley lived for 35 weeks in his mother’s womb and 59 minutes after birth. Ashley hopes to help other mothers who have experienced loss by sharing Bentley’s story.